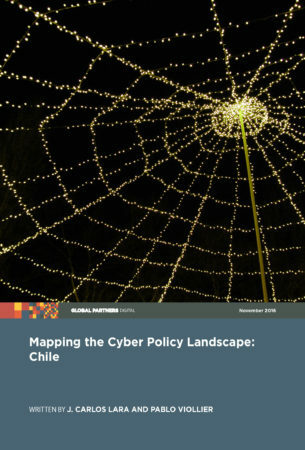 Mapping the cyber policy landscape is a new series of mapping reports commissioned by GPD, designed to help civil society actors navigate the cyber policy landscape in four countries: Chile, India, Indonesia, and Kenya. The series identifies the key cyber actors, institutions, legislation and processes in each country, analysing local trends and factors and highlighting challenges and potential opportunities. Its aim is to serve as a tool and reference point for civil society actors who want to engage in cyber policymaking processes in the four countries covered. The second report in the series focuses on Chile, and is authored by J. Carlos Lara and Pablo Viollier.